Super Robot Wars DD gets new live gameplay showing Mazinger Z, Devilman characters, Originals mecha Didarion, new game systems. Bandai Namco’s Super Robot Wars series had its usual monthly stream today, revealing new information, including on Super Robot Wars DD, upcoming mobile game of the franchise. Live gameplay was shown as well, played by Yuki Nagaku, who voices SRW DD Original character Meguru Daimon. The gameplay showed the first two stages of Super Robot Wars DD’s World 1 story. The game’s story is divided into four different worlds at first before they merge together later. The first stages has Kouji Kabuto in Mazinger Z fighting Dr. Hell’s mechanical beasts, something pretty fitting as World 1 is full of old series and is a callback to the Showa era. We also saw that Kouji, Sayaka, Boss, Nuke, and Mucha go to the same school as Akira Fudo and Miki Makimura from Devilman. Producer Terada mentioned how they carefully wrote Devilman characters’ dialogue, keeping their speech pattern from the original manga. Miki, for example, speaks like an old guy. As a reminder, Super Robot Wars DD has the mecha units’ acting order decided by a new speed stat, instead of “Ally phase” and “Enemy phase” like in other SRW. SRW DD has multiple new systems not present in other Super Robot Wars games. One of these is the Chain System. As you keep hitting enemy units, you will get more chains, boosting your damage. However, your chain count will go down if you miss attacks or spend one ally unit’s turn without attacking. Successful counterattacks grind up the chain count as well. Another system is the Break Gauge on bosses. Boss enemy units each have a certain weakness. For example, they can be weak to beam attacks or to physical bullets. Hitting their weakness will make their break gauge drop much faster, and once it’s emptied you’ll be able to deal much more damage to them. Another important point is how Super Robot Wars DD has Willpower like in other SRW, but no Energy gauges or ammunition. 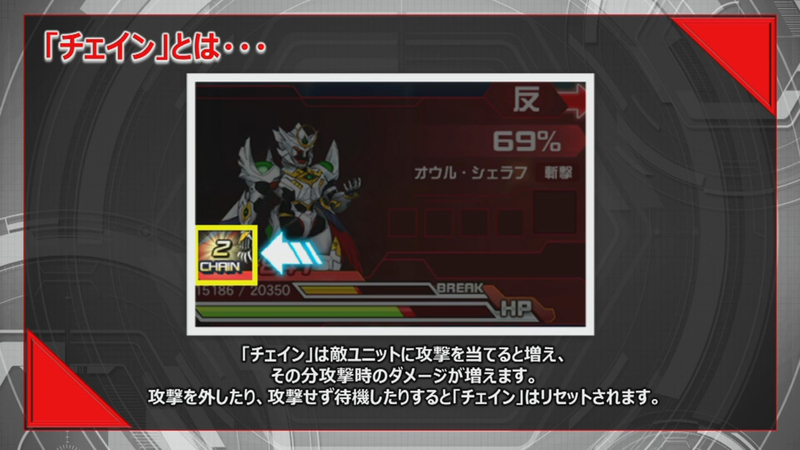 Mechas can only use one attack, and other, more powerful attacks can be used by equipping the corresponding Unit Part, and only one Attack Unit Part can be equipped at a time. The mecha will be able to use their strong attack after it acted a certain amount of turns, and these strong attacks also have a limited number of uses per map. For example, Mazinger Z needs to have acted 3 times before using the Breast Fire Unit Part, and can only use it twice per map. Before showing a mecha’s attack animation, the game will also show an animation of the supporter character you’ve equipped the Unit Part of. Most of these characters are girls, with their cut-ins including sexual fanservice. They wanted to give some spotlight to non-playable characters as well so they made these, but some playable characters like Meg have one too. One thing worth noting is that each battle animation in Super Robot Wars DD is preceded by a loading, giving me some Super Robot Wars Alpha Dreamcast vibes. The loadings are very short though, except one moment during the stream when a particularly long loading happened in the mecha squad management menu, for around 70 seconds, prompting Producer Akai to say the game is still in development. Back at Taipei Game Show 2019, Producers Terada and Akai explained more details on Super Robot Wars DD, including why did they include Devilman in the roster. 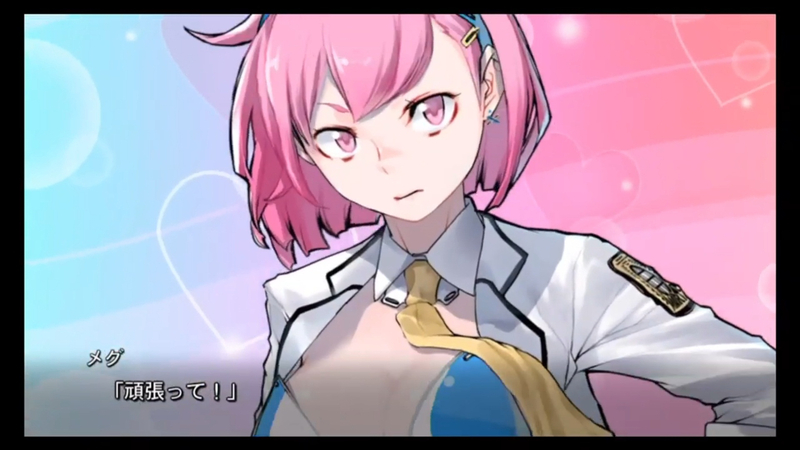 The game’s second trailer and more details on its gameplay, story and Original characters and mecha were revealed as well. A beta test was conducted for the game in Japan and more tests will be happening soon. Yuki Nagaku and SRW DD Producer Masatoshi Akai took a picture together once the stream ended. Super Robot Wars DD was announced in November 2018 and will release in 2019 on iOS and Android in Japan, Taiwan, Macao, and Hong Kong. No English version has been announced. Copyright © 2019 Gaming News Portal. All rights reserved.